Welcome to the official homepage for Tre Sandberg AB. Here you will find information about us, the authors behind our brand and also information about our business. Tre Sandberg is family owned company located in Sweden. The company owns and works with the rights of the famous characters made by Inger and Lasse Sandberg. We’re open for collaborations but we chose our partners sparingly, we really care for which situations the characters are used. The characters stand for self esteem, safety, friendship, knowledge, word and picture happiness. The positive, which these characters represent for both young and adult, is also associated with the company, that have the possibility to use them. The companies we chose to collaborate with needs to have highly set quality and environmental standards, since the books and Products are of high quality and because we are always working to develop and improve our environmental performance. Little Ghost Laban is released on Spotify - 50 years after the first release. On March 15, for the first time, original recordings of music and audio books about Lilla Spöket Laban and his friends are released digitally on Spotify, Apple Music and Storytel. 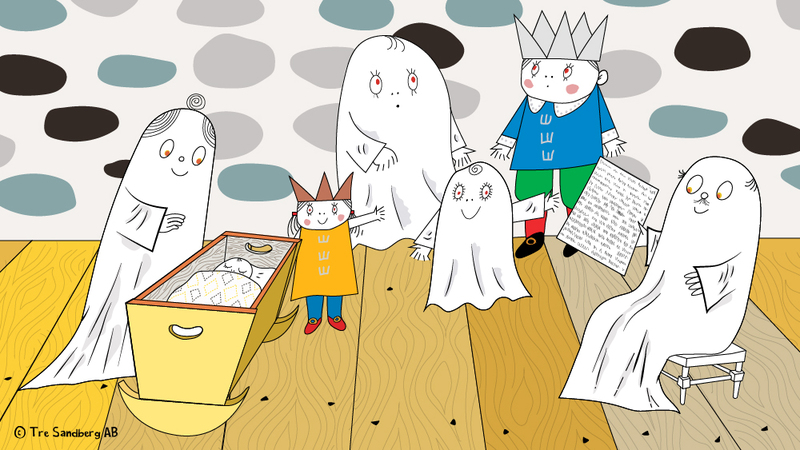 Inger and Lasse Sandberg's kind ghost have maintained several generations worldwide. 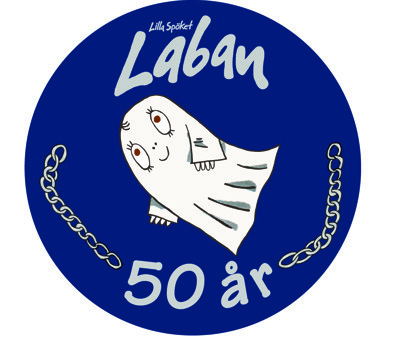 Laban the Little Ghost turns 50 2015! Laban the Little Ghost came when the couple Sandberg’s son Niklas become afraid of ghosts after a terrible play with the neighbor boys. The story of Sweden’s kindest and sweetest ghost became a mother Inger’s solution to the fear. Fifty years later, Laban and his family still just as popular. 2012 opened the doors to new Sundsta bath in Karlstad. We are proud to be involved in a partnership that creates a fun and adventurous environment for children and adults. 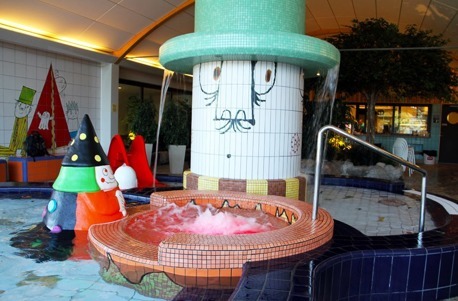 The experience bath include waterfalls, hot pool with bubbly water, climbing wall, outdoor pool open with flowing water and a children's area with several pools and figures by Inger and Lasse Sandberg.